It's Sunday! And it marks a new challenge over at Cupcake Inspirations Challenge Blog. 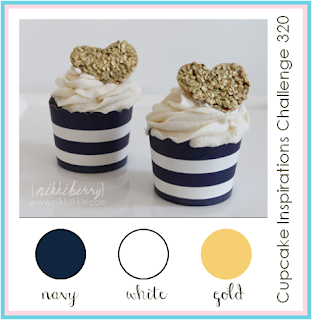 It's a color challenge and it's very classy! Here are our challenge rules...hope you will play along! New challenges are posted each Sunday at Midnight CST. The deadline to enter is Saturday noon CST. 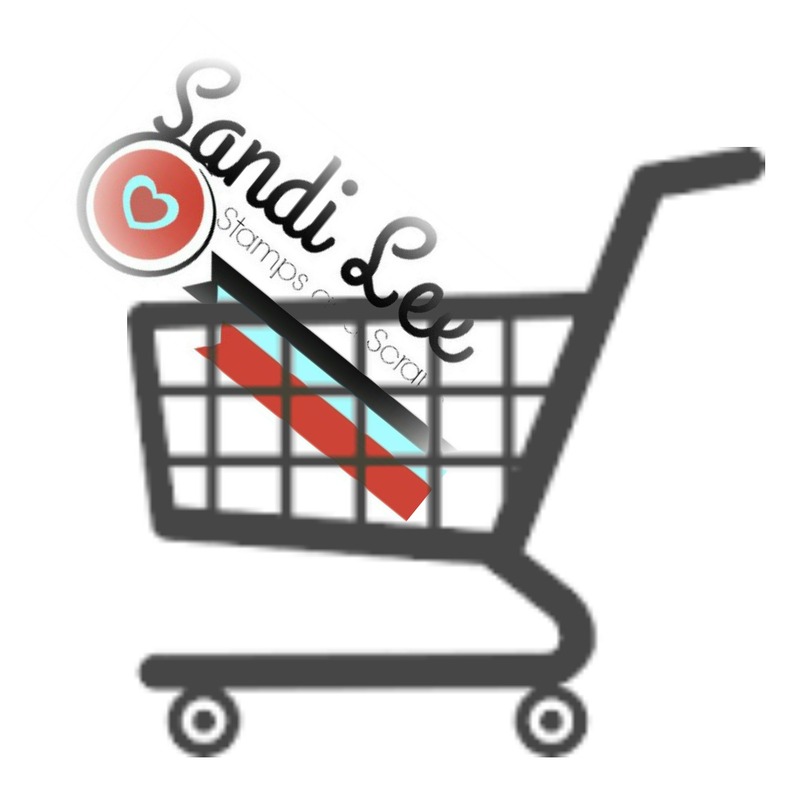 DRS Designs is generously providing a prize of $10 voucher to our randomly chosen winner. supplies: paper-gold cs vellum (cut cardstock), white cs (neenah) and american crafts; ink- graphite black (archival brilliance); stamp- tags and stamps (art and co); flower (prima). sparkle and shine...Simon Says Stamp. What a beautiful card!! LOVE the flowers and the colors!!! 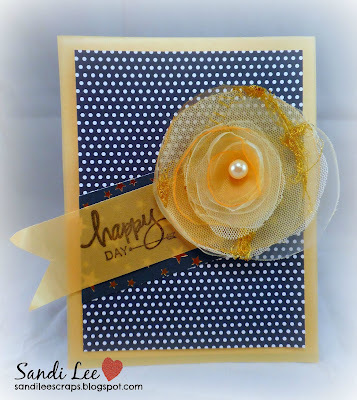 A stunning card Sandi, a fabulous colour scheme and a lovely sentiment banner and a beautiful flower!! 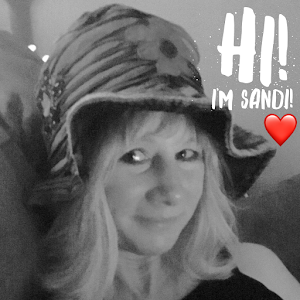 Sandi Love your card! That flower is so pretty. Such a pretty design. Thanks for playing along with Seize the Birthday. Blue and gold are so pretty together! Love your layers of flower petals! Thanks for sharing at Seize the Birthday! ooh, I just LOVE that big, beautiful flower! This card is so gorgeous!